IoT Vendors- I can exclusively reveal that research to be published today paints a scandalous picture of how many of the most popular consumer Internet of Things (IoT) brands are failing to protect their customers from being spied upon, having their data stolen or unwittingly helping criminal endeavors to spread malware or take down online services. The report, commissioned by the IoT Security Foundation (IoTSF), found that nine out of ten (90.3%) of the global consumer IoT brands researchers looked at simply do not allow security researchers to properly report the vulnerabilities that they find. The Understanding the Contemporary Use of Vulnerability Disclosure in Consumer Internet of Things Product Companies report sought to answer a simple, yet fundamental to IoT security, question: how widely practiced is vulnerability disclosure in the consumer IoT product domain? The answer appears to be shockingly badly. The report author looked to uncover whether consumer IoT manufacturers and vendors had a dedicated channel by which security researchers could communicate any security vulnerabilities they might have found. All the products included in the research were available on the open market and not prototypes and both the brands and manufacturers concerned were typically international in scope. In all, a total of 331 consumer product companies were included in the results; collectively responsible for many hundreds of IoT product lines and millions of devices sold. These covered everything from Internet connected toys from the likes of Hasbro and Mattel, through to weapons brands such as Armatrix, Tracking Point and Vaultek, not to mention D-Link, NEC, OnePlus, Sonos and TomTom. A shocking 299 (90.3%) of them had no form of public vulnerability disclosure policy, leaving just 32 (9.7%) with any form of scheme for security researchers to use. Of that 32 only 15 had an incentive, or bug bounty, program to encourage security researchers to find the holes in their products that could be exploited by threat actors. One company actually went as far as to state that security research was not permitted by putting restrictions on security research in its terms of service. The best performers overall were some of the biggest of the brands; notably Google and Samsung. Apple did offer a bug bounty program, but it was by invitation only. Amazon, Huawei, HTC, LG, Motorola, Samsung and Sony had processes in place for vulnerability disclosure but no bug bounty programs. I contacted some of those companies that had neither a bug bounty program nor any apparent vulnerability disclosure policy, with a view to finding out why this was and if it was a security oversight they would be rectifying in due course. These included Bose, Foscam, Hasbro, Logitech, Mattel, NEC, OnePlus, Sonos, TomTom, Whirlpool and WyzeCam. None had replied to my request for comment by the time of publication today. 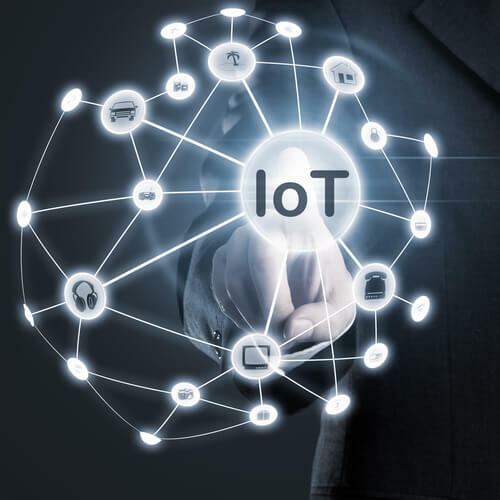 The post The Silence Of The Brands: 90% Of Consumer IoT Vendors Don’t Let Researchers Report Vulnerabilities appeared first on erpinnews.